Quintus Technologies will commission, in September 2016, one of its hot isostatic presses (HIP) at the 10,000-sq.-ft. metal-additive manufacturing center opened recently by Sintavia, LLC, in Davie, FL. 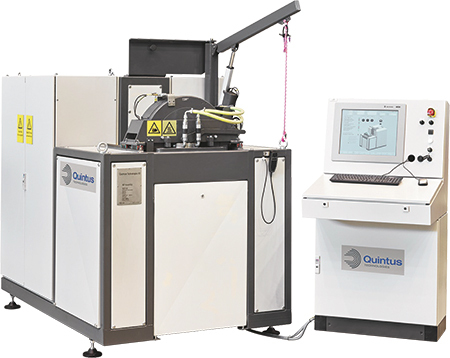 The model QIH 15L press will feature Quintus’ Uniform Rapid Cooling technology, which combines densitification and heat treatment to shorten cycle times when treating printed-metal parts to eliminate porosity. Its 7.3 by 19.7-in. hot zone enables pressures to 30,000 psi and handles operating temperatures to 2550 F.